The series of three large paintings and one smaller painting with the group title "Connections" has been created from October to December 2015. 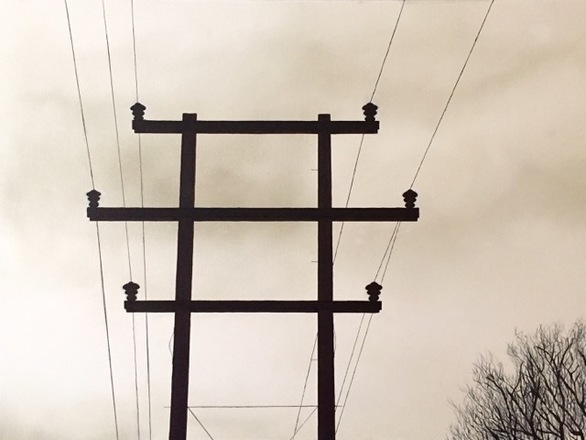 The images of wire cable in a natural setting in the three works Connections I, II & III carry the idea of connections between human beings. The theme focusses on the coexistence of natural things and the works of man. ​The connection between all four works is set by a mutual colour scheme of indigo, raw umber, brown and gray tones that create unity and evenness which remain unaffected by the different dimensions of all four works. 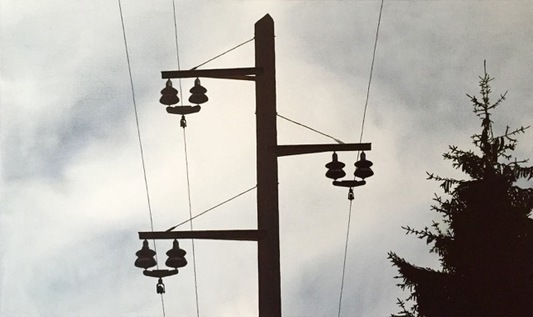 Idea and inspiration for the motives evolved from regular trips through the English countryside and villages, where these types of telephone poles can still be found. 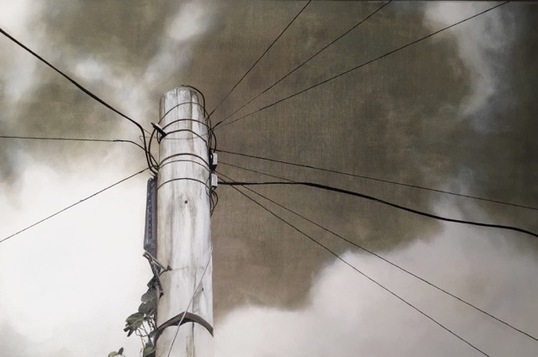 The metaphoric approach of this work accrues from the artist's belief in the unique human talent to grow through communication and develop personality through connections. 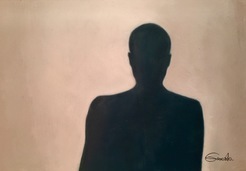 ​The additional shadow portrait is a reflection of the artist who stands in front of a wall. In contrast to the other paintings in this series, the small painting "Shadow" builds an indirect connection between object, shadow, and the observer. The Connection series has been exhibited first during the exclusive ARTROOMS exhibition in January 2016 at the Melia White House in Regents Park, London. Thereafter, the paintings have then been featured for 6 months as part of a six months exhibition at the Gallery Le Dame, London and where also shown at the artist colony Worpswede in Germany 2017.